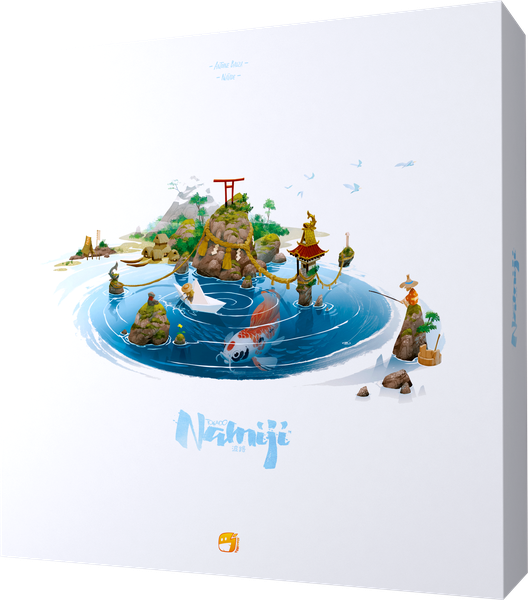 Namiji is a new addition to the Tokaido series of games and follows a similar mechanic to the original. Each player has a boat and is following their path, collecting fish along the way. 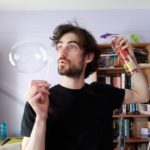 Movement is the same as Tokaido, with the player in last place along the path making the first selection, and each spot which is landed on provides different benefits to the player in order to collect Victory Points. Namiji also retains the panoramic card collection of Tokaido, where players aim to collect victory points by creating a picture (in Namiji, this is a whale). However, there are some changes which differentiate Namiji from its predecessor. Blind bag draws for shrimp fishing provide a push-your-luck mechanic, as collecting two crabs from the bag negates all points from any shrimp caught. Other fish must be gathered to match colour or shape in order to gain points. There is also the option to gain hidden objectives, which can be scored for even higher Victory Points. Tokaido is one of the most satisfying games I have ever played - not only is it a mechanically dynamic design by Antoine Bauza, but the artwork by Xavier Gueniffey Durin has a minimalist beauty which I adore. I'm pleased to say that Namiji retains both the same artist and designer, and I genuinely cannot wait for Namiji to reach my FLGS later in 2019! Have you played Tokaido yet? Mozilla foundation developed this firefox web browser,this is totally free and safe application mozilla firefox for windows then share this information to all window 10 users.